That sure pops! The gold and the black is very nice. 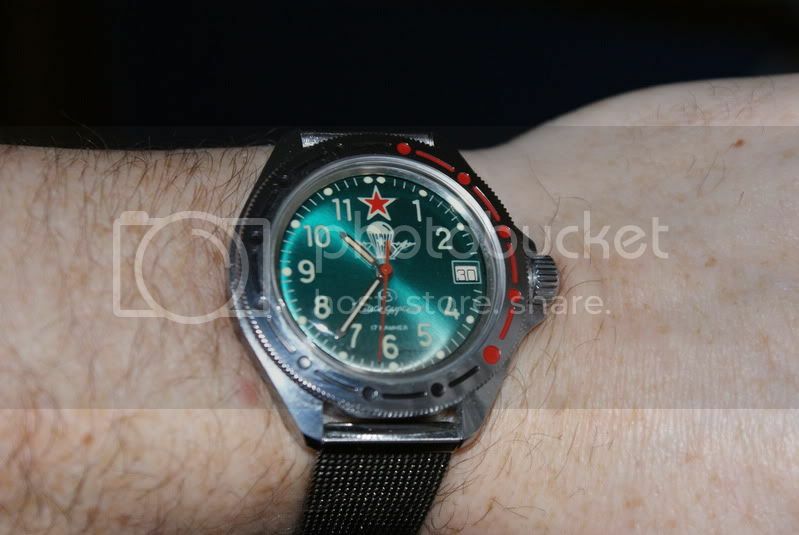 Please Vostok put some real lume on your watches. slowcoach and Horologic like this. MR Diver, slowcoach, Horologic and 1 others like this. 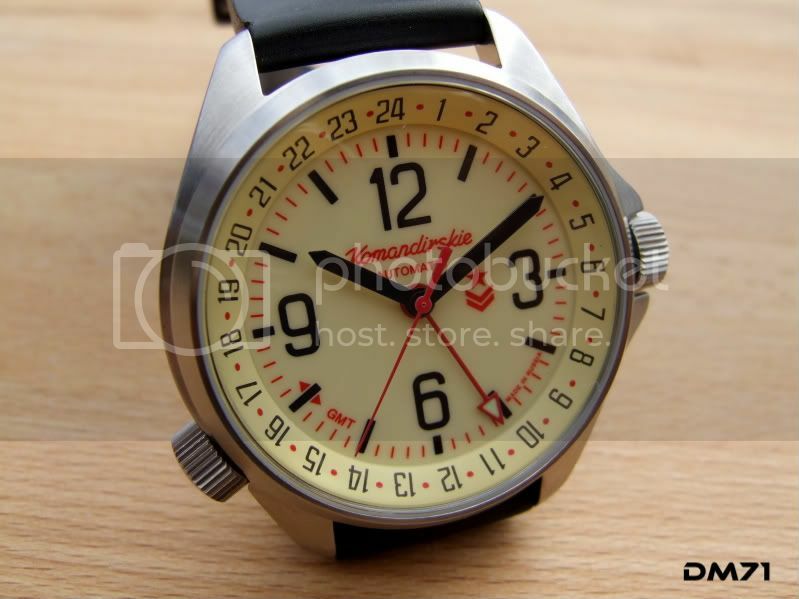 Here's mine, I love the colour of the dial. OhDark30, slowcoach, Horologic and 1 others like this. no mark on the movement, don't know if it's a fake? My only K. Love it! Sure, I measured her wrist once and I believe it was between 5.5 and 6 inches. She loved the fit, so I think it'll be fine on you.